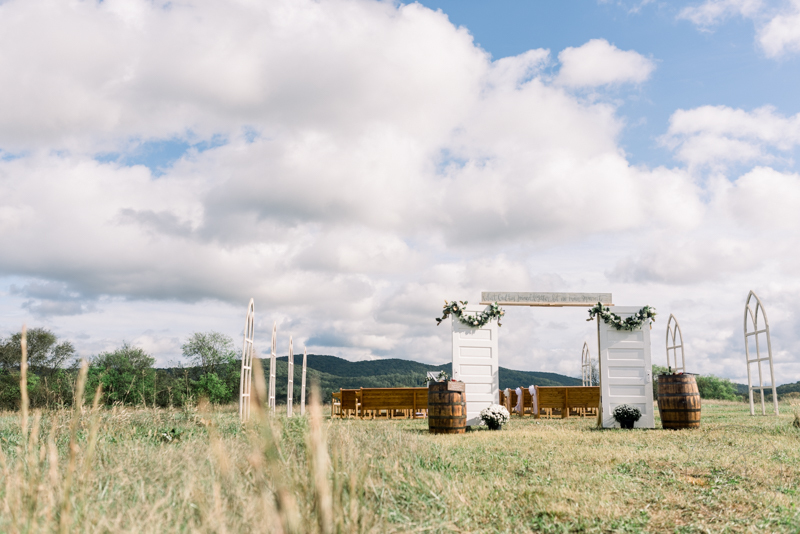 Ainsley & Jacob, and their family, beautifully executed a dreamy open-field wedding. They had the location just off a gravel road in the middle of tall wheat colored grass with a humble mountain in the background. This was a dreamy setting for an Georgia October wedding. It was classy and inviting. They had church pews, window arches, and the most perfect white puffy clouds in the sky. If you can’t tell already, this wedding made my heart happy!